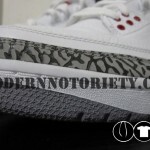 Yesterday, We posted a preview of the Air Jordan Retro III White/Cement Grey-Fire Red that is set to release spring of next year. 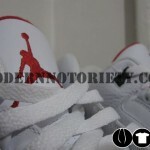 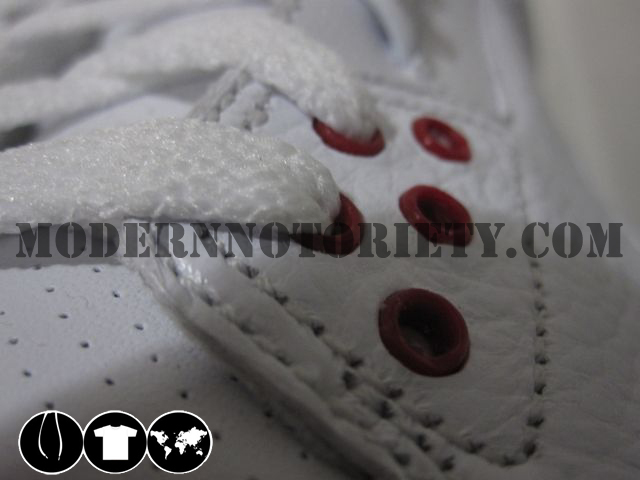 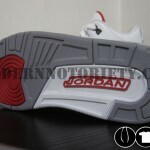 We now have detailed pics of another shoe -Jordan connoisseurs have been waiting for. 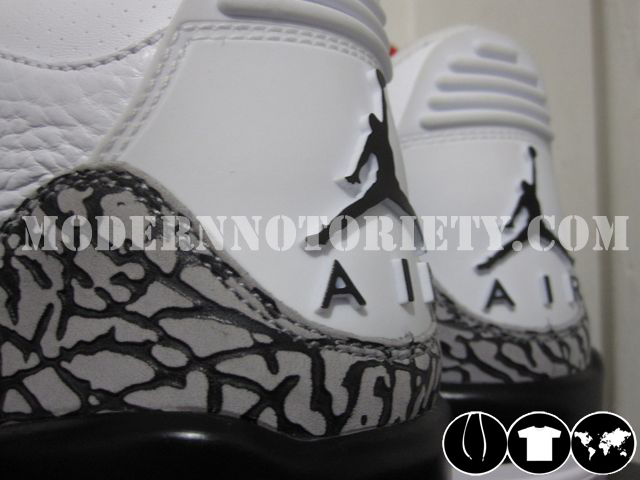 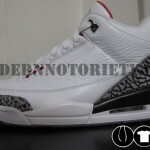 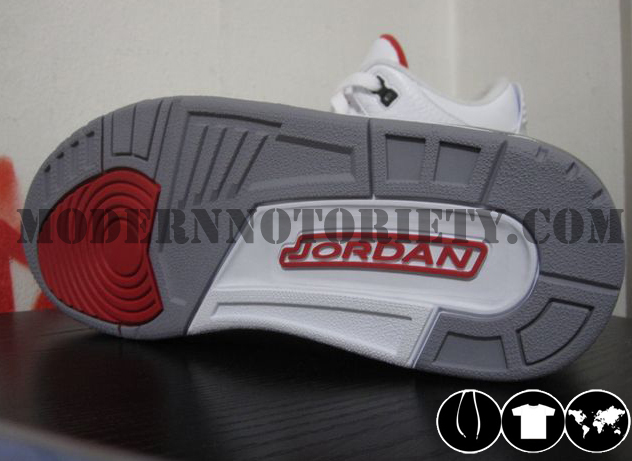 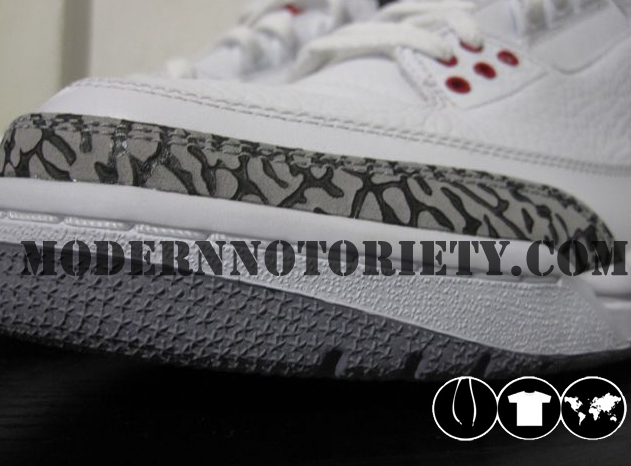 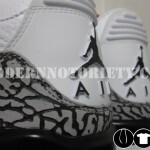 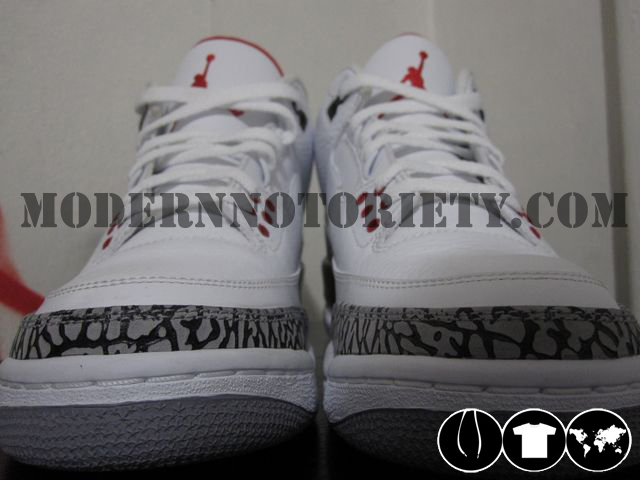 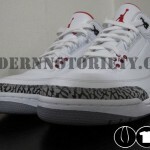 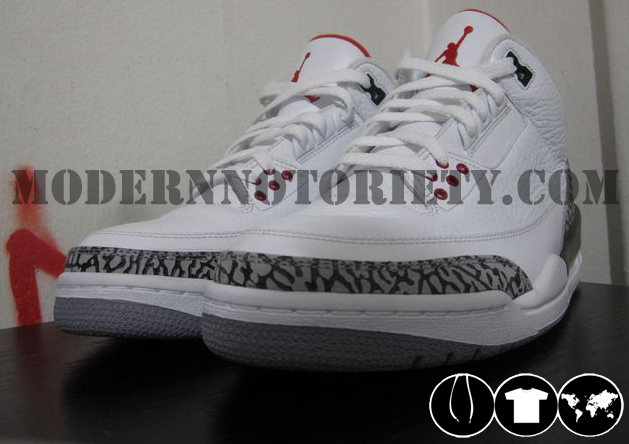 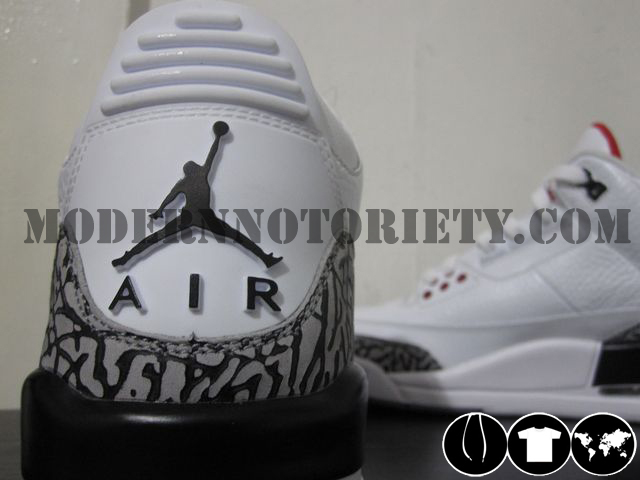 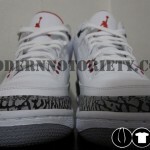 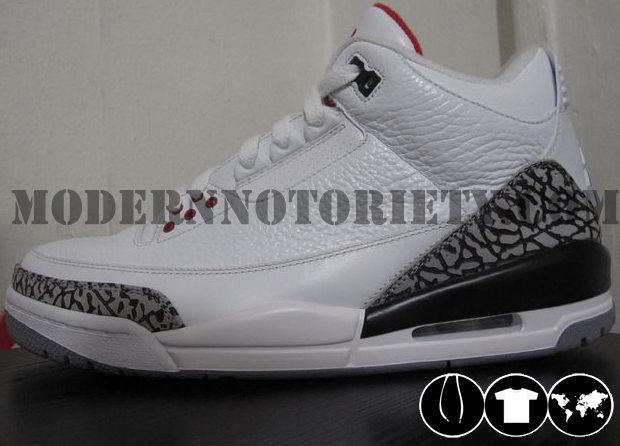 Unfortunately for some, This Air Jordan III will not feature the NIKE AIR on the back as some speculated. 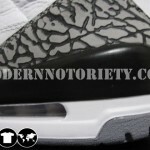 The good news is that there hasn’t been much change to the shape except for the cement print. 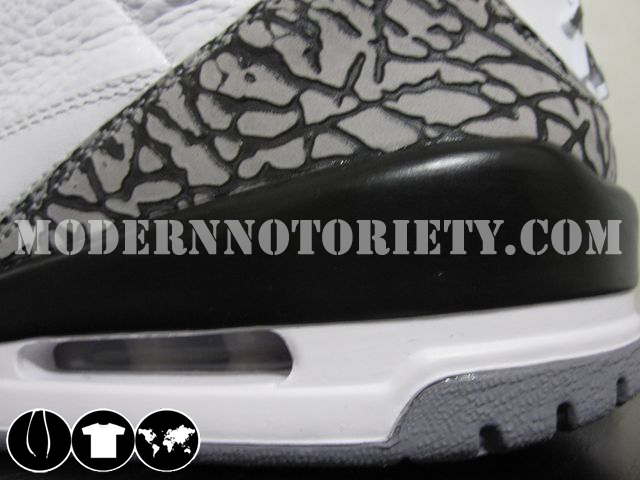 We stated yesterday that the width lines of the cement print are thicker than the 2003 version as well a having a darker tint. 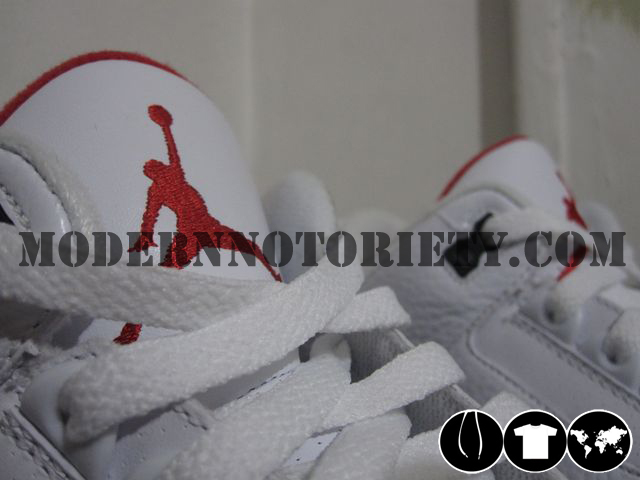 Along with the Bordeaux VII Modern Notoriety premiered a few weeks back, 2011 seems to be a great year for what most Jordan heads have been waiting for. 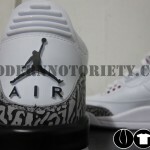 Follow us on Twitter for more updates for 2011.